In collaboration with smartphone manufacturer Bullitt, Land Rover is now offering a rugged mobile phone. The Explore features off-road mapping, a compass and SOS light to suit outdoor enthusiasts. Designed to complement the off-road nature of its 4x4 vehicles, Land Rover is set to offer a rugged smart phone. Manufactured by Bullitt, who produces Cat’s range of tough phones and has previously made phones for JCB, the Android smart phone is designed with the outdoors in mind, and is dual-sim compatible. The Adventure Pack battery pack nearly doubles run time and improves GPS accuracy. Land Rover says the 4,000mAh battery is enough to last two days with the screen on, and an external 3,600mAh battery pack can be attached. This battery pack also boasts a patch GPS antenna to improve map system accuracy, which features topographical off-road routes. Its 127mm (5in) HD touch screen can be operated with gloves or even when wet, and a protective case and screen protector are fitted as standard, which Land Rover says can withstand being dropped from up to 1.8 metres, or submersed 1.8m into water. It is also IP68 water, splash and dust resistant. Other features include a compass, light with SOS function, 16 mega pixel rear and 8MP front cameras, and Land Rover says it can withstand all manner of environments from extreme cold to heat, humidity and vibration. 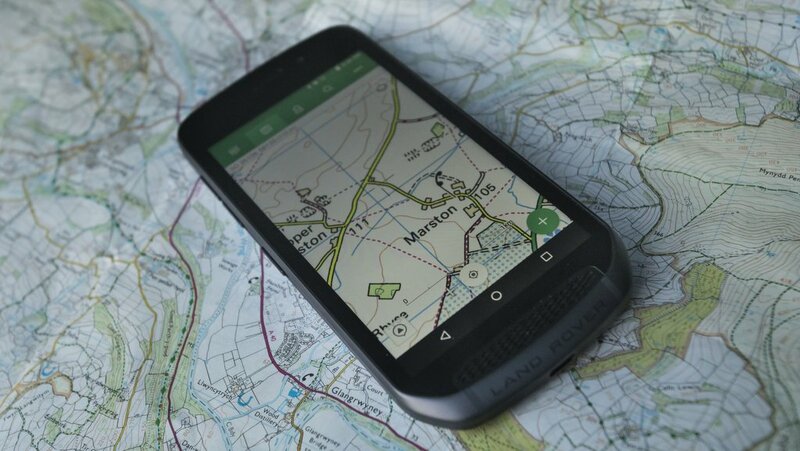 Available from April, the Explore phone with Adventure Pack battery costs £599. Gorilla Glass protected screen is suitable to use with gloves and is not affected by water.